The political stars are aligning to start offshore wind on floating turbines along the West Coast as the region gears up to harness a potential new source of clean power. Offshore wind is expected to play an important role in cutting U.S. carbon emissions to tackle climate change. Winds howling across open coastal waters constitute one of America’s largest untapped sources of carbon-free electricity. Eventual development, however, depends on the industry’s ability to overcome huge hurdles. The Trump administration took the first step Oct. 19 toward allowing companies to eventually lease California coastal waters for offshore wind farm development, including areas west of Eureka, Morro Bay, and Diablo Canyon. So far, two developers—Castle Wind LLC and the Redwood Coast Energy Authority—say they hope to build floating wind farms in some of those areas by the mid-2020s. Nationally, 12 federal offshore leases have been issued—all on the East Coast—and the first wind farms there are expected to begin operating in the early 2020s. North America’s first and so far only offshore wind farm serves the residents of Block Island, R.I. Unlike East Coast offshore wind, though, California’s offshore turbines would have to float, because the ocean floor is too deep there to safely and affordably anchor the turbines. “Floating turbines open up the possibility for California to obtain 50-75 percent of its all-purpose end-use [electric] power from wind,” Mark Z. Jacobson, director of the Atmosphere and Energy Program at Stanford University, told Bloomberg Environment. Today, however, no offshore wind turbines operate on the West Coast, and only a handful operate worldwide. Offshore wind developers in California must sort out technological challenges as well as coexisting with military operations on the West Coast and bird populations. But if the industry leaps those hurdles, commercial development on the West Coast by the mid-2020s is reasonable, Walt Musial, offshore wind manager at the National Renewable Energy Laboratory, told Bloomberg Environment. “The industry’s moving fairly quickly,” Musial said, and it will be up to California’s state regulatory process to develop a strategy for offshore wind. Wind is expected to factor prominently into California’s climate goals, which include decarbonizing its electric power sector by generating all of its electricity from renewables by 2045. Most of the state’s carbon-free electricity today is hydro and solar power. 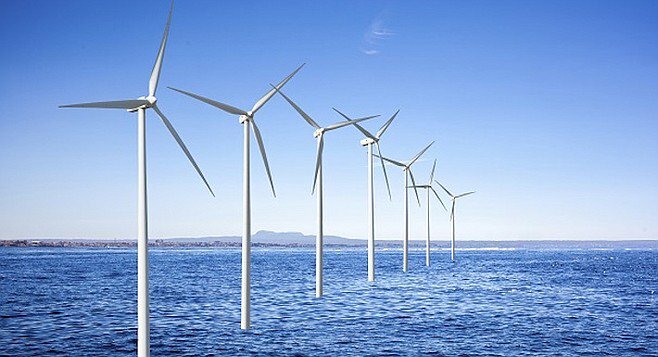 The floating turbines the West would need are just being tested and haven’t yet been put into broad commercial use, but they can save wind developers money compared to turbine foundations fixed to the ocean floor because they require fewer personnel to build and can be mass produced, Musial said. The operator of the world’s only operating floating wind farm, Equinor ASA, is evaluating potential opportunities in several U.S. states, spokeswoman Elin Isaksen told Bloomberg Environment. “We believe there is a huge potential of offshore wind globally,” she said. Floating wind technology is approaching the “commercial maturity point in Europe,” Castle Wind CEO Alla Weinstein told Bloomberg Environment Oct. 17, adding that the company is seeking turbines that provide energy that is cost-competitive in California. Turning such cutting-edge wind technology into a thriving offshore wind industry won’t be easy. Broad swaths of water off the California coast have been designated by the Defense Department as no-build zones for offshore wind farms. Projects at 24 offshore sites in California are under review by Pentagon leaders, U.S. Navy Southwest Region spokesman Steve Chung told Bloomberg Environment. He declined to disclose companies, saying details are proprietary. Chung called potential offshore wind farm development in the Diablo Canyon “extremely problematic” for Defense Department operations because it’s in the heart of a sea range where military tests and research occur, including supersonic testing, low-level flights and live-fire training. The Audubon Society, which supports California’s renewable energy goals, opposes plans for offshore wind farms because birds such as the endangered short-tailed albatross—a large sea bird of with a population of only about 1,200—can collide with the turbines. The possible risk outweighs the need, and it’s possible to reach clean energy goals while safeguarding wildlife, Anna Weinstein, marine program director for Audubon California, told Bloomberg Environment, pointing to the electricity surpluses the state experiences. The three spots federal officials have targeted are part of a richly diverse area that attracts a broad number of birds and wildlife. “We call it the blue Serengeti for a reason,” she said. The best place to build wind farms in California and ways to reduce conflicts are being studied by a task force composed of federal, state, local, and tribal agencies that was formed in 2016. 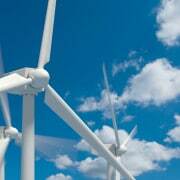 The turbines off California would be in federal waters. In addition, the California Coastal Commission, a state agency, has jurisdiction over state waters and coastal zones, but it can review projects in federal areas that could have impacts locally. That includes projects with power cables that may be connected to existing infrastructure on land. The commission is working with other state agencies and federal officials to ensure leasing plans are consistent with California regulations. “We’re still so in the initial phases of this that there is no specific issue to say no to, or yes to,” Kate Huckelbridge, a senior environmental scientist with the coastal commission, told Bloomberg Environment. Despite the challenges, renewable energy analysts are bullish on the industry’s prospects in California. Jacobson at Stanford said the offshore wind industry could begin building wind farms earlier than 2025 if permitting issues are overcome. 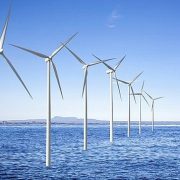 The challenges of building wind farms in deep water prove that the Pacific Ocean is no panacea for renewable electricity, but California is in a good position to overcome some of those issues, Jeremy Firestone, director of the Center for Carbon-free Power Integration at the University of Delaware, told Bloomberg Environment. “The ocean is vast, the population is large, the electricity demand is great, the state is wealthy, and the climate and environmental conscientiousness of its citizens is strong, suggesting a floating future for California,” Firestone said. Floating Wind Farms for California Move a Step Closer to Reality, By Bobby Magill and Emily C. Dooley, Bloomberg BNA, October 26, 2018.